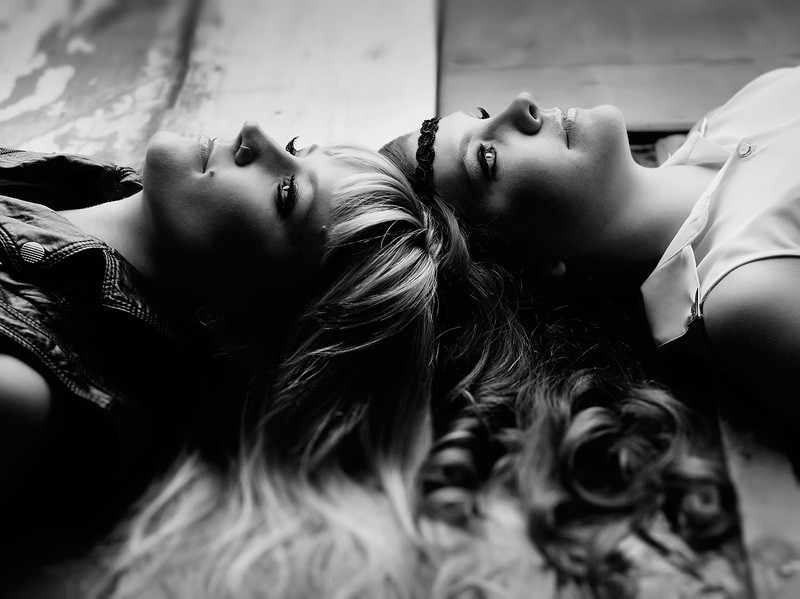 After releasing their debut EP on February 11, 2014, Ali Raney and Zoe Heuman of The Lovelocks were shown lots of love. While it isn't all that uncommon for an album to climb the charts fast the day its released, it is uncommon for a debut album, from a relatively unknown artist, with next to no radio play, to chart #2 (on iTunes Canada Country Albums) on release day... but then again, The Lovelocks are anything but common. Calling Toronto home, Ali and Zoe met in 2003, while being involved with their Church's music program. 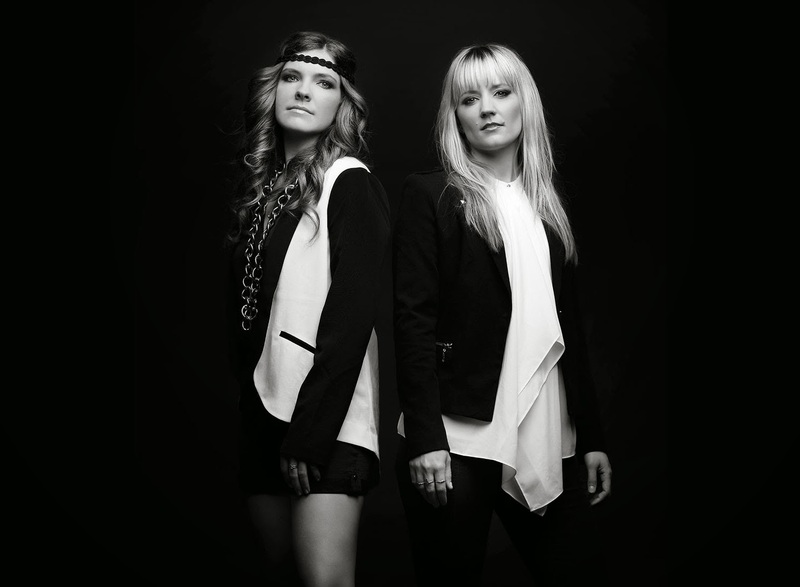 After a few years, they began writing songs together, and in 2012 decided to combine their talents into the amazing duo we now know as The Lovelocks. The name they chose for themselves is both creative and symbolic to much of what they stand for—a true commitment to love people, be them friends, family, strangers, and even enemies (which, hopefully, never come). This is what is going to take them and their talent very far. How they came upon finding this name is a story that shows fate (or whatever you wish to call it) can sometimes, figuratively, smack you in the face with the answer. Zoe was in Europe and Ali was home in Toronto. While in Paris, Zoe visited a bridge that was covered with Love Padlocks. Coincidentally, on that very same day, Ali was reading an article about how the Love Padlocks were being removed from a bridge near her home. After debating, and texting back and forth, thousands of potential bands names prior to that day... they knew The Lovelocks was the perfect name for them. With hard work and supporting friends, family, and fans, The Lovelocks released their debut album. 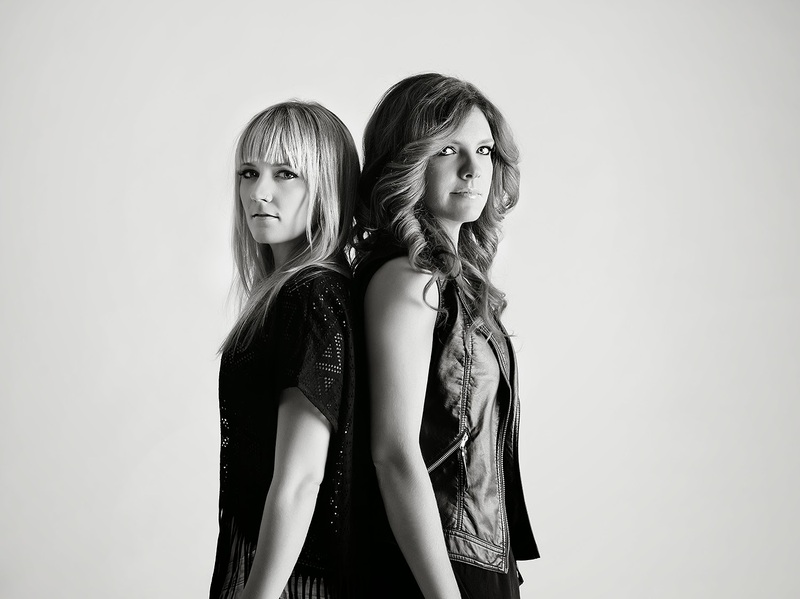 A couple of city girls, who absolutely love “the traditional sounds of old timey string bands and country bluegrass music,” brought their amazing EP to life. While fiddles and mandolins and true 'country' guitars are the heart of their music, The Lovelocks include their own personalities. It's this combination that had fans (both old and new) rushing to buy their EP. Neither Ali nor Zoe expected the kind of response that exploded on release day. Neither thought they would break the Top 20 that day and were blown away when it soared to #2. This is not just a testament to them as artists but to their amazing fans as well. Completely elated and extremely thankful of their fans, Ali and Zoe are excited to see where they, along with their fans, will be taken to next. The one thing I'm impressed with the most is how everything about The Lovelocks is simple and pure. There are no crazy runs, no excessive instrumental sounds, and no wild musical stunts to try and grab attention. In fact, I found that, unlike many artists who rely on the music to make the song and use vocals as merely a backup, The Lovelocks use music to backup their amazingly strong and pure vocals. The instruments never overpower and always perfectly complement and showcase their vocals. The first track, “Dance,” brings with it a message to live life to its fullest – regardless of what happens. Ali's and Zoe's soft voices effortlessly and beautifully flow with the music to give us a wonderful and inspired feeling. “Life Goes On” slows things down and exposes a more vulnerable side. This song showcases how perfectly Ali and Zoe complement each other vocally – the harmonies are breathtaking. The lyrics may tell a story of moving on from a relationship that just isn't working, but it's the music that brings the story and emotion to life. “18 & 17” is a powerful ballad that goes more unplugged. It emotes pure emotion that makes this 'what if' story so vivid... If you were to close your eyes, you could see the two of them sitting on a couple of stools on a darkened stage with memories flickering across in the background. This track is probably my favorite. “He's My Man” bring up the tempo and adds an intriguing effect. Behind the music and vocals, you have sounds of voices coming over a CB. It's subtle but adds an additional personality into the song. 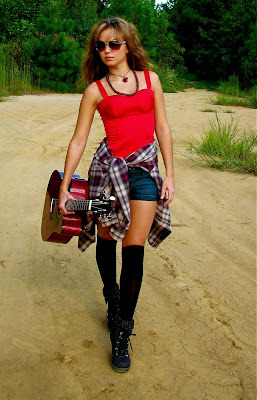 It paints us a picture of a pickup truck going up a dirt road – leaving dust and the past behind. “Teardrop Tattoo” has a very strong Dixie Chicks feel to it. It has a great beat and may unofficially become the lead-off single according to what I've been reading from fans. Although it's the shortest track on the EP, coming in at 2:06, it is one of those songs that will get stuck in your head and have the two-steppers hitting the dance floor. “Darlin' Don't Cry” is another ballad with very strong feelings and emotions being conveyed. A story of struggling love and how it's often worth the fight to make things work. Showing us that, in life, if it's worth having... it's worth fighting for. Overall, I'm very impressed with both The Lovelocks and their debut EP. It's not often you come across people that respect and love those around them in the way that Ali and Zoe genuinely seem to. It's because of who they are as people that their music is going to be so well received. They put much of themselves into their music, and their fans can feel that. Yes, they are extremely talented, but it's also that connection with the music and the fans that will take The Lovelocks to extraordinary and wonderful places. 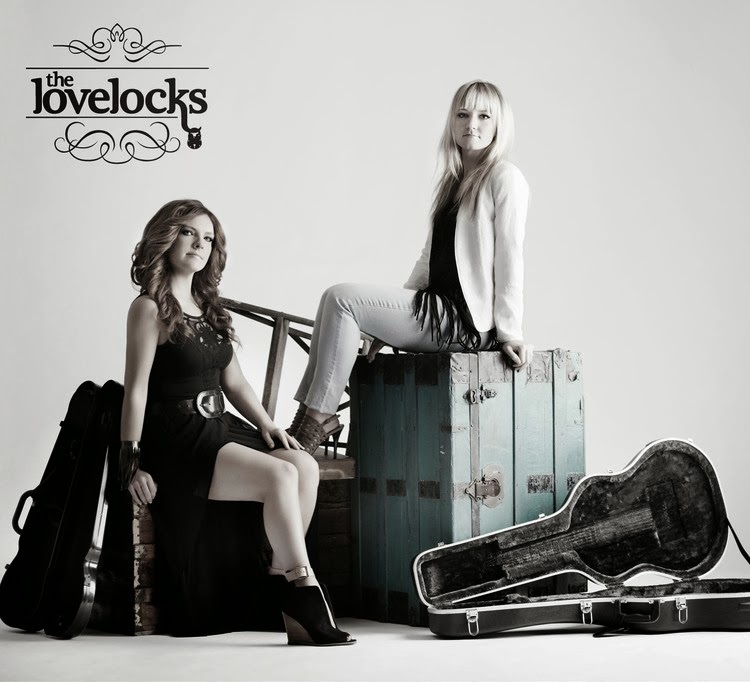 The Lovelocks EP - A must have for all country music fans! Give them a listen, and let me know what are your thoughts.